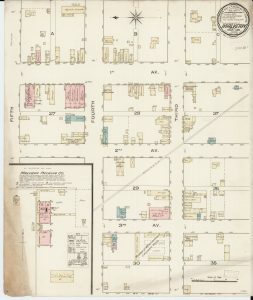 The opportunity has now increased to view some of the vintage neighborhood maps done over the early years of the 20th century by the Sanford Fire Insurance Company. 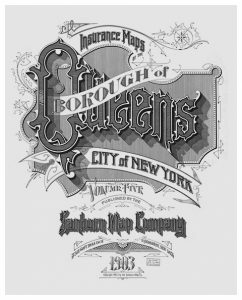 Placed online by the Library of Congress are about 25,000 Sanborn Fire Insurance Maps representing over 3000 city sets online. Each month additional maps will be added until 2020 bring the total available to 500,000. 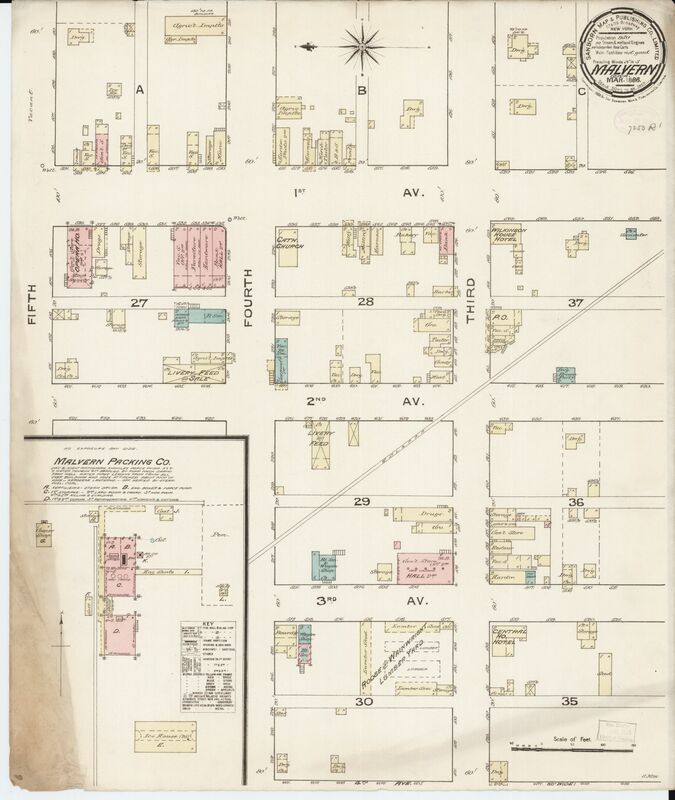 The Library of Congress started with the maps before 1900 with the following states: AK, AL, AZ, CA, CO, CT, DC, DE, GA, ID, IL, IN, KY, LA, MA, MD, ME, MI, MO, MS, NC, ND, NE, NH, NJ, NV, OH, OK, PA, SD, TX, VA, VT, WY and Canada, Mexico, Cuba sugar warehouses, and U.S. whiskey warehouses. Not every state is completed yet but they will be coming. There are different codes and coloring to help provide a basic description of a home or building. Yellow with the letter ‘D’ is for a wood frame home/ dwelling. Some places can be combinations of brick and wood. 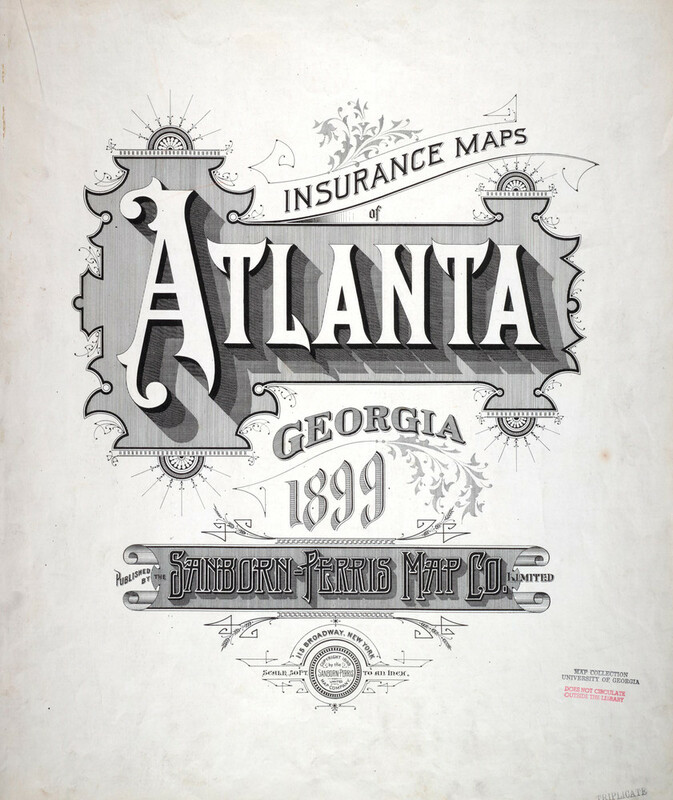 Because these maps and description were for the purpose of fire insurance, knowing the size and construction was very important. For the family history researcher, this can be very important knowing a family business structure or a family home. Not only the places’ construction but also what was nearby. Did a family live near a stable or a business shop? To find a town, use the selection to the left, first a time frame, then a state name. Lists can include not just a state name but also a county name, so do know a family hometown name. Even within a state’s listing of available counties, your specific hometown may not be completed for online yet. 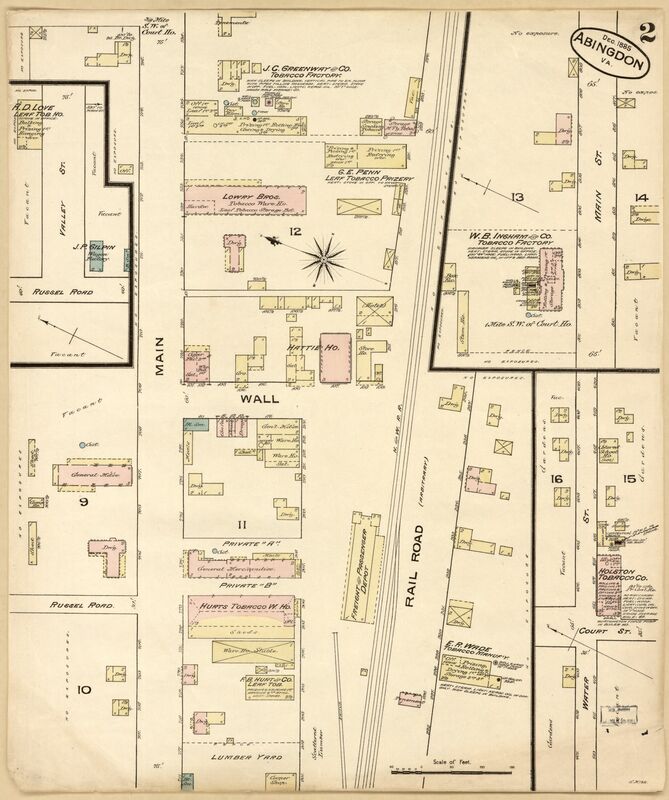 If you locate a map for a family hometown, enlarge it using the two-headed arrow on the right and then right click on the image to save to your computer. Make sure to have the full map on your screen before saving it. You can also save it (download it) in different formats, use the drop down tab to the lower left. 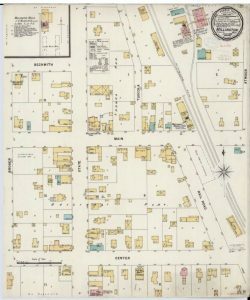 You will see the names of the streets, names of main businesses in the town, along with any railroad track and train station. Some maps done at different years can provide more or less information and details. 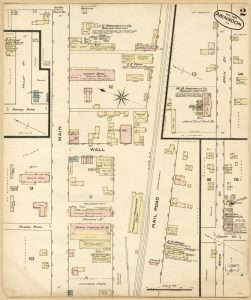 For one of the maps, that of Abingdon, Washington Co., Virginia in December 1885, each hotel was named, businesses labeled, or at least what type of merchandise sold in that business building. 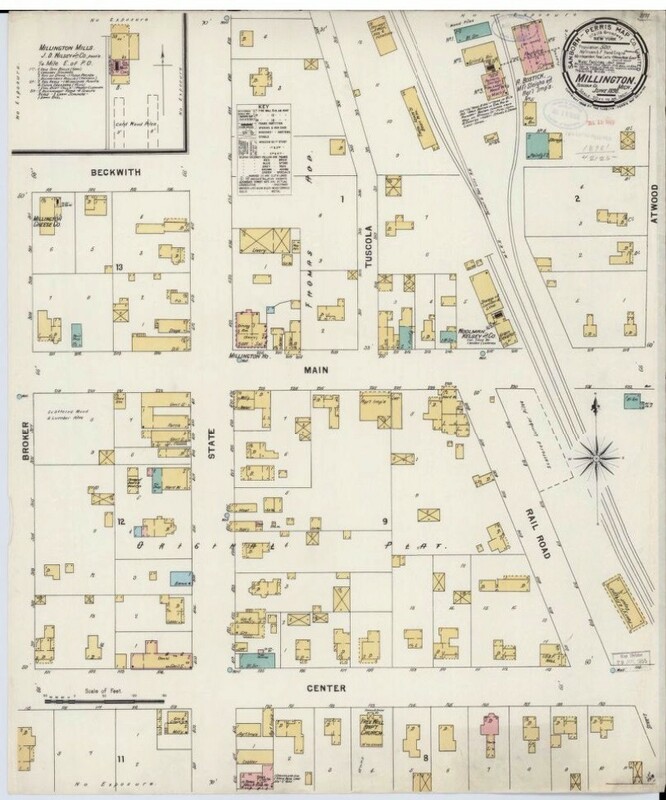 You might not see a use for a map now, but if you do locate one for the family hometown of any time period, do save it, it could prove to be handy in the future with your family research. I have found great success with them over the years. 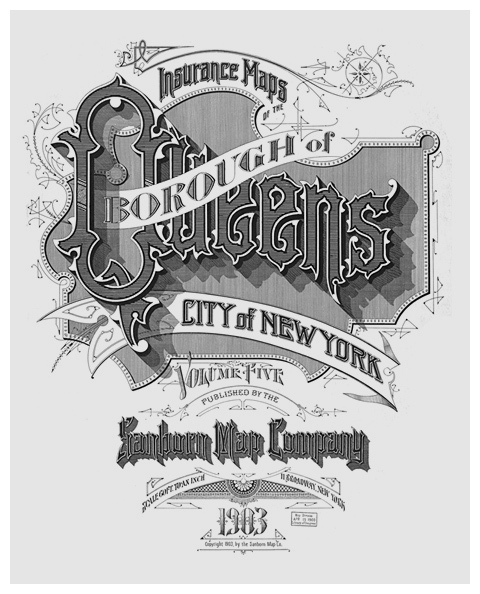 Photos: Sanborn Fire insurance map cover title for Borough of Queens 1903; July 1898 – Millington, Tuscola County, Michigan; March 1886 – Malvern, Mills County, Iowa; and cover for Atlanta, GA Sanborn Fire Insurance Map of 1899.